Although I live most of my life within about a 5-mile radius, Rock Hill is a regular draw for me. 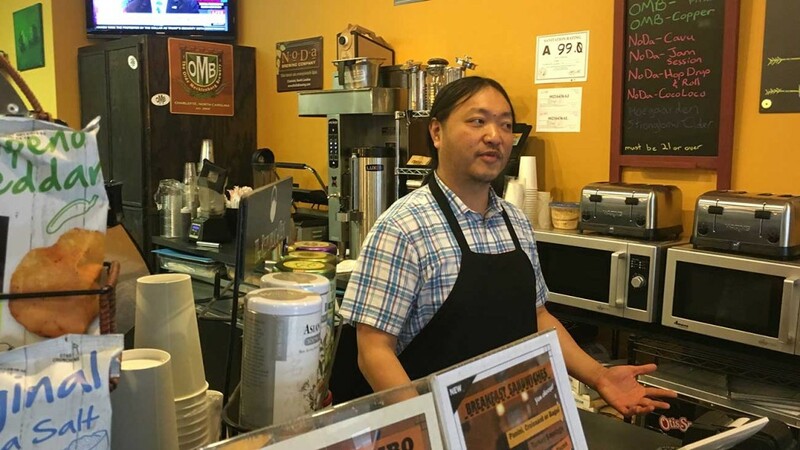 Part of it is because I have family down there, but part of it is also because the city’s food scene has really been picking up steam lately. They got their first brewery, Amelie’s opened a location there and small strip mall restaurants are starting to attract attention (and hungry patrons) from Charlotte. 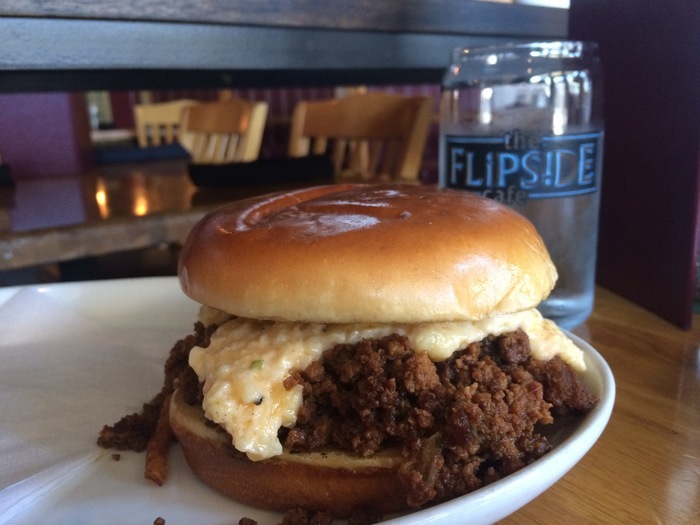 So let’s take a closer look at one of the stops on my list of 14 things to do in Rock Hill: Flipside Restaurant. 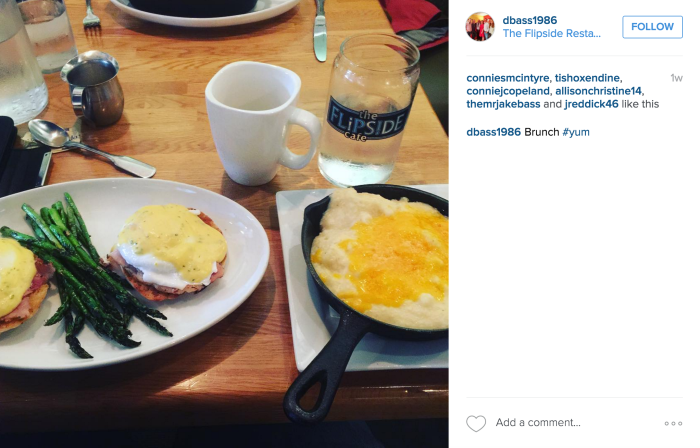 Flipside Restaurant in Rock Hill is the sister restaurant of the original Flipside Cafe in Fort Mill. 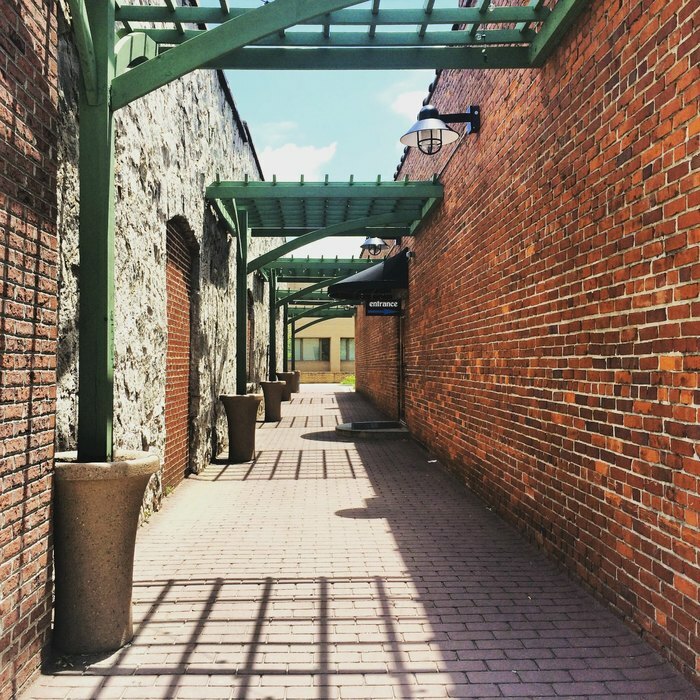 Although they’ve got a street facing facade, Flipside Restaurant made the back alley entrance a requirement which I think adds to its allure. They also set up outdoor patio dining here when the weather cooperates. 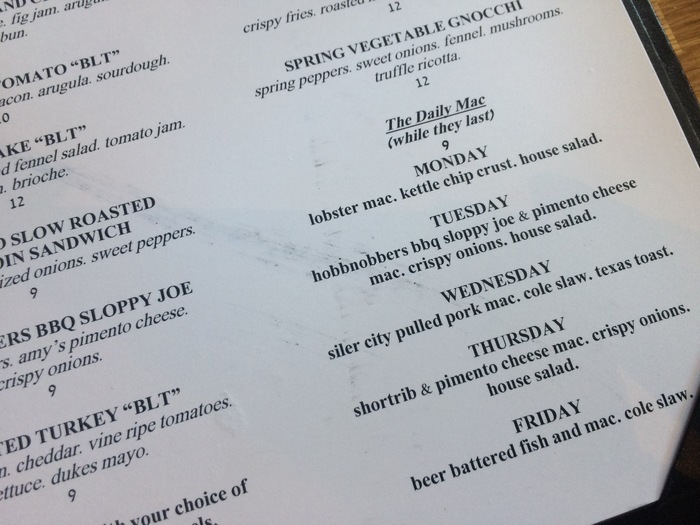 The Daily Mac is one of the most popular menu items. Flipside features a different mac & cheese special Monday through Friday, and judging by the fact that it was sold out by 1 p.m. when we went, I’d say it’s a pretty big hit. 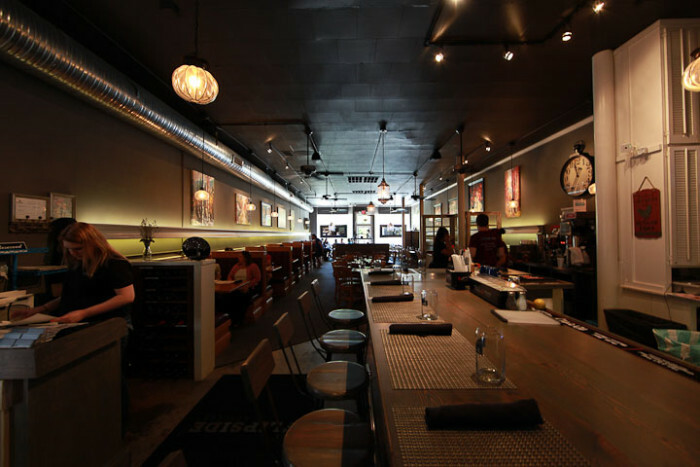 They top their homemade mac and cheese with things like lobster, sloppy Joe or beer-battered fish. But there’s some lighter fare too. They have lots of big salads with ingredients sourced from local farms. 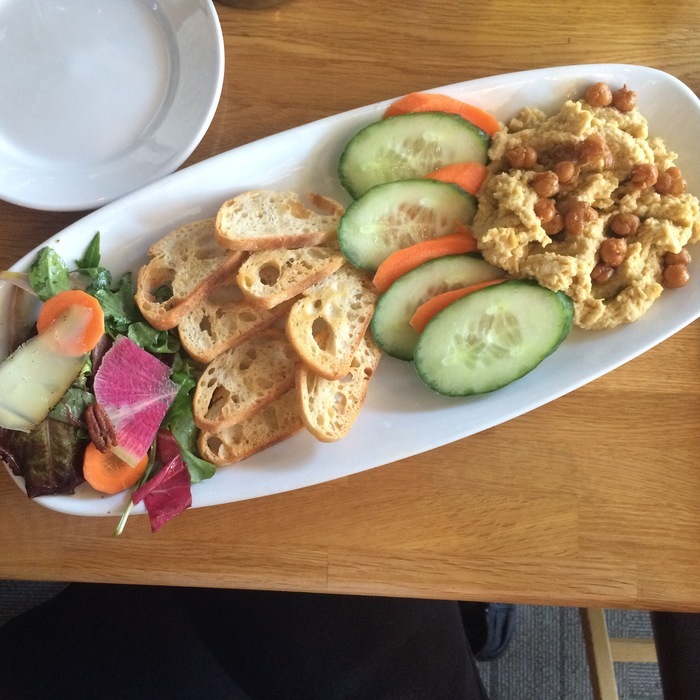 The hummus plate features a mini version of the Flipside house salad (which includes “barely buzzed”, a cheese with a coffee crust), crostini, veggies and homemade hummus topped with fried chickpeas. The Hobnobber’s BBQ Sloppy Joe is topped with pimento cheese, ancho peppers and crispy onions. And the brioche buns are probably more beautiful than you. 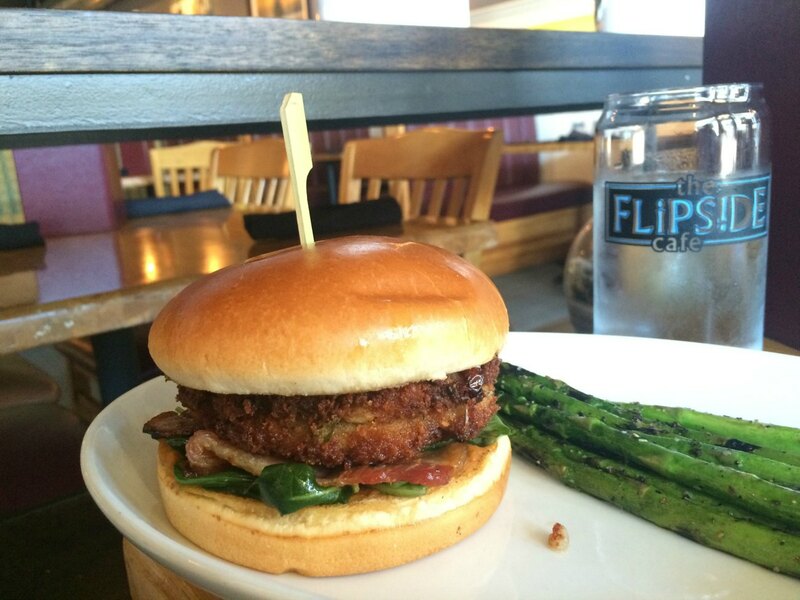 This is the crab cake BLT topped with Duke’s mayo, arugula and fennel salad, tomato jam and bacon and served on that flawless brioche bun. 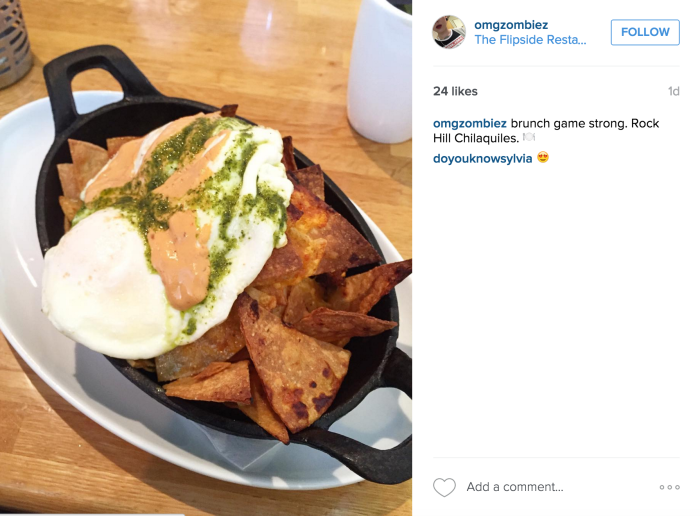 If you can make it here for brunch, do it. 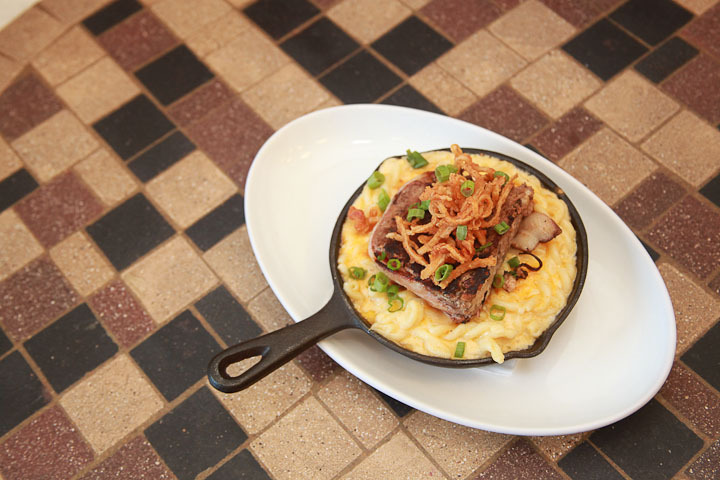 Flipside pulls out all the stops with a “Not So Small Bites” brunch menu featuring buttermilk waffles, steak & eggs, skillet meals and more. 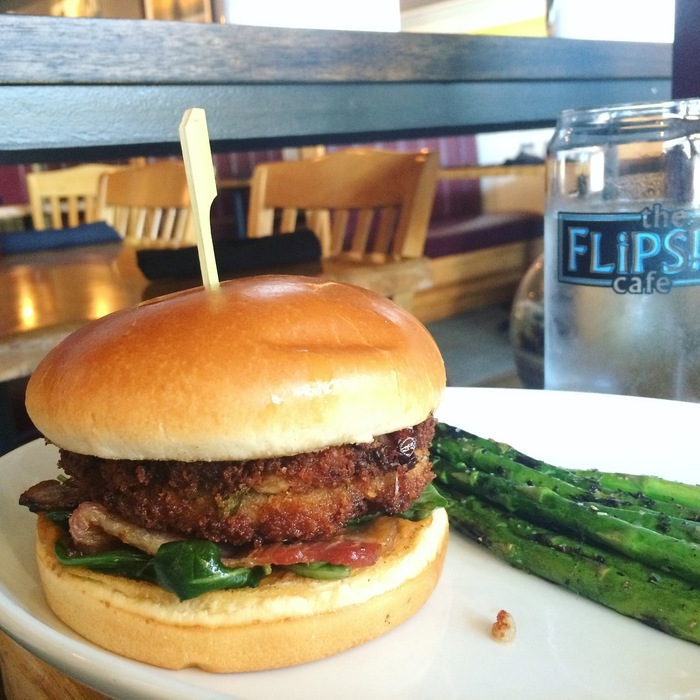 You’ll find Flipside Restaurant at 129 Caldwell Street in downtown Rock Hill. There’s plenty of free parking in the lot behind the restaurant.